Camping cots are a more comfortable way to sleep when camping. They offer a more reliable and lightweight alternative to an air mattress and can support more of your body than a sleeping pad. Not to mention, a cot can easily fit into your car for storage while hiking or switching camping grounds. Don’t let us confuse you with a regular cot, camping cots are much more compact and are usually made of a stainless steel metal and a strong nylon body. In this article, we will help teach you what to look for when buying a camping cot, as well as out top 10 favorites that you should consider buying for your next camping excursion. Weight: You should keep in mind both the weight of the cot and its weight limit. Camping cots can weigh anywhere from an ultra-lightweight two pounds to a heavier 20 pounds. It is up to you to determine what weight suits your needs best. Portability: When choosing your cot, keep in mind that you will need to carry it to wherever your campsite is. Check out the packed weight and size to figure out how easy it will be to transport. You should also look at its shape when packed as some cots are more compact than others. 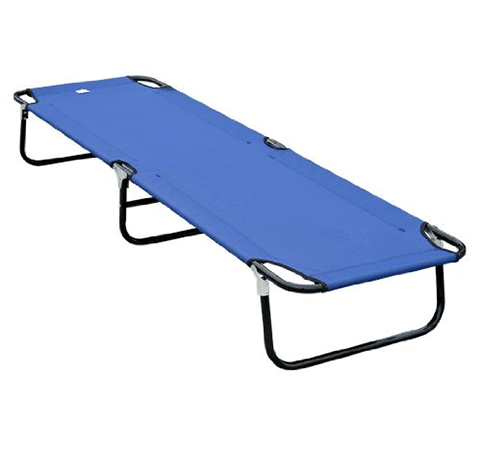 Durability: The material has a lot to do with a cot’s durability. Nylon and polyester tend to be the strongest and provide the most support. Frames will usually be made of aluminum or steel. Comfort: You will be sleeping on this folding cot, so naturally you will want it to be as comfortable as possible. Both the tension of the fabric and the spring system will let you know how much support and comfort a cot offers. Ease of Assembly: You should also keep in mind how easy the cot will be to setup and take down. Some offer faster setup times than others. Size: The standard size of camping cots is 25 inches by 75 inches. There are models that are better suited for taller and shorter people. Yoler’s Natuzy XL folding camping cot is a great choice for avid campers. It offers an extra large build, with a solid frame, and a comfortable fabric body support system. In addition, it also has a built-in side pocket for your glasses or phone and a tilted head rest for a better night sleep. Give yourself a more comfortable sleep on the trail, and go with Yoler, you won’t be sorry. 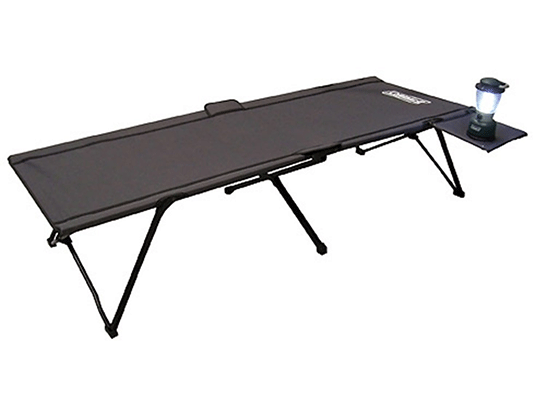 The Magshion military folding camping cot is a highly durable, inexpensive bed for on-the-go campers. The cot itself only weighs a mere 8 pounds, proving to be incredibly lightweight and easy to carry. It is also of a high-grade steel and cloth combo proving to provide an excellent night of sleep and the ability to last for years. Magshion boasts a weight limit of 300 pounds and provides a carrying bag for easy portability. The Outsunny folding camping cot offers a military-style with a high-grade build quality. Sporting either blue or green colors, the cot can easily fold up for quick access and is light enough to bring just about anywhere. Plus, this camping cot also offers a weight limit of 331 pounds which is perfect for yourself and any additional gear you might bring. Byer of Maine’s portable camping cot offers a reliable built with a lightweight frame. Perfect for use indoor or out, the cot itself is incredibly easy to setup and comes with its own carrying bag for easier portability. In addition, it can also withhold up to 325 pounds. The Regalo my cot deluxe might be the best sleeping cot combo on the market. It comes with a built-in sleeping bag, pillow, and carrying case for easier portability. Built with a strong steel frame and durable fabrics, this cot can last for years under the right care. Not to mention, the cot can be set up in seconds which can be a big plus for those with larger families who need to set up a bigger campsite. 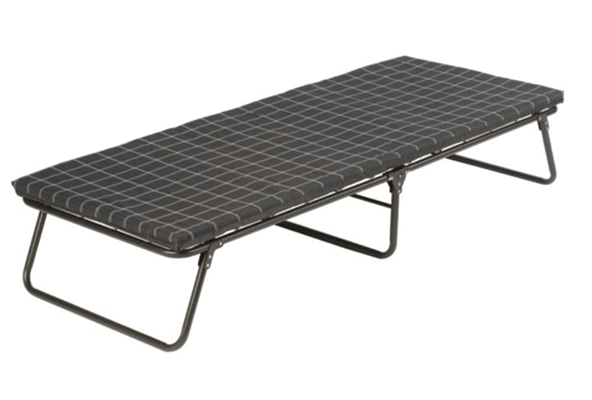 This Coleman trailhead folding cot is a strong and dependable bed alternative for frequent campers. With a durable cross-bar design system, the cot can withstand up to 300 pounds of added weight. In addition, this Coleman cot is easy to setup and breakdown, which can be done in minutes. 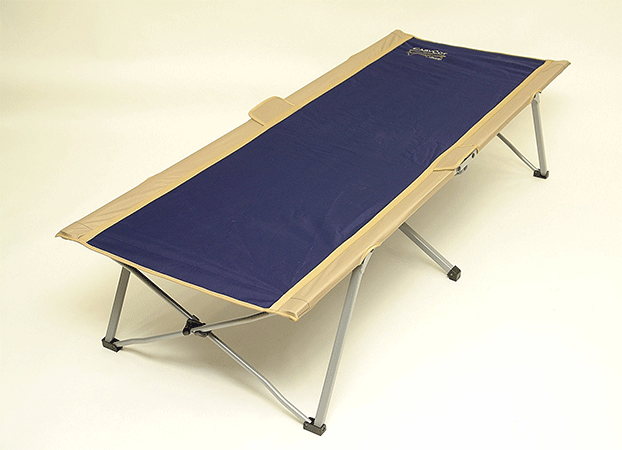 The Coleman Converta Cot is a one of a kind camping bed that can also double as a luxurious chair. 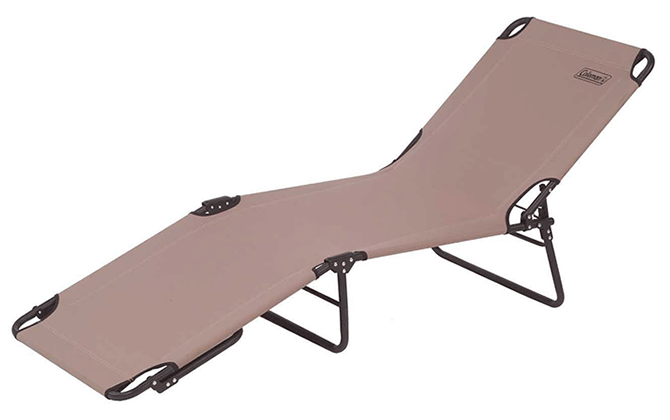 With 4 different back positions to comfort yourself in, this multipurpose cot is a well thought out investment, especially if you have typical back pains while camping. The cot itself can support up to 225 pounds and is made of a strong steel frame with a heavy-duty polyester fabric body. Plus, Coleman also includes a 1-year limited warranty in case the cot ever breaks down the first year of using it. The Coleman Comfortsmart Deluxe Cot offers the best combination of comfort and space. The mattress is made of a thick and supportive mattress. It can fit people who are up to 6 feet and 6 inches tall. It also has a high weight capacity of 300 lbs thanks to its heavy duty steel frame. It folds directly in half and can be stored in most car trunks. If you are looking for a spacious cot, check out the Coleman 2000020273 80 x 32-Inches Pack-Away Cot. This cot is larger than most other models and is suitable for people up to 6 ft 6 inches. It is also stronger with a weight capacity of 300 pounds. This is due to the high-quality steel frame and the durable polyester. One of the best features is the removable side table which has a cup holder in it. It can also fold super compactly and can easily be transported in it carrying bag. 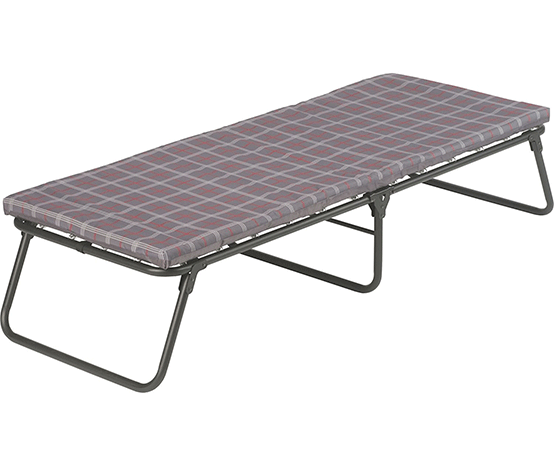 The best folding camping cot out there is the Coleman 2000020271 ComfortSmart Cot. This cot features a thick and comfortable mattress with spring coil suspension for extra support. The frame is made from a heavy duty steel and weighs 14 pounds. It can support up to 275 pounds and fit people shorter than 5ft 7in. When storing, the Coleman can be folded in half fairly compactly and can fit in most car trunks. Not for people over 5ft and 7in. 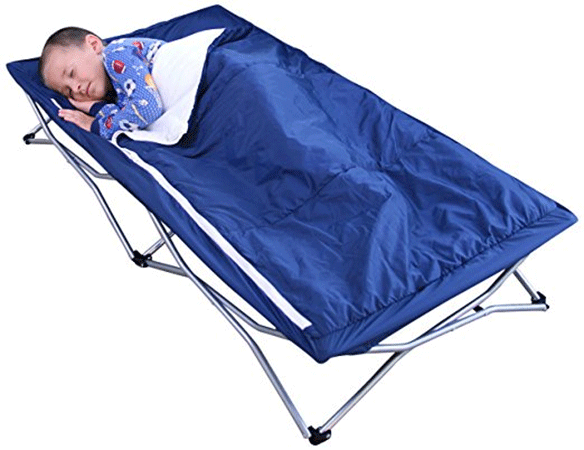 For your next outdoor adventure, consider bringing a folding camping cot with you. They are more comfortable than a simple sleeping bag and take up less space than an air mattress. 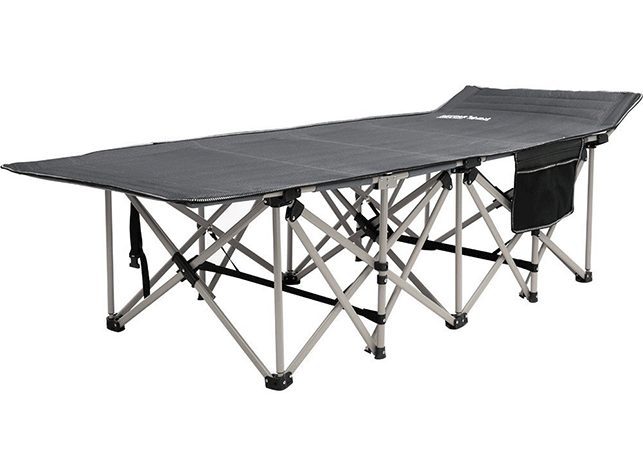 Folding camping cots are a great investment that can greatly improve your camping experience. With this buying guide and cot reviews, now you can purchase the best camping cot out there.